When traveling across the country visiting dozens of established as well as newly forming Housing First projects, I have had the opportunity for much observation. And in those observations, I get the pleasure to see some fantastic, unique, and exciting ways programs have generated success in their Housing First delivery. At the same time, we also have a tremendous chance to learn some of the consistent elements that seem to make things more challenging for various communities and programs and in turn negatively impact their outcomes. And in most cases, these results or lack thereof, depending on how you want to look at it, are directly related to Housing First programs not staying true to the “core principles” or fidelity of Housing First. In some cases, this is due to an incongruence of values and philosophy between the umbrella organization and the Housing First program or project. Here is what I mean. When I talk about the difference between the philosophical and operational sides of Housing First, I often use the analogy of making cookie dough vs making cookies. Yes, it is important to understand the difference. To make great cookies the key is to start with really good dough. And hopefully you are not like I was when my mom would make the best chocolate chip cookies on the planet and eat most of the dough with a spoon before she actually made the cookies. Regardless, that dough was the foundation to perfect cookies. And for the dough to be perfect, it had to be consistent in its ingredients. My wife and oldest son have a Christmas tradition where they make shortbread cookies together. 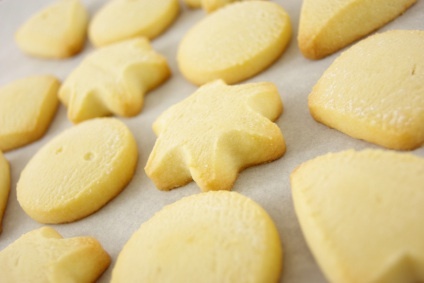 If you know anything about shortbread cookies, the dough is especially important or the cookie tends to either crumble or be a soggy mess. So having that consistency where the dough is the same every time is even more important with shortbread. This is like the philosophy of Housing First. There are key ingredients that need to be consistent to have the best outcomes. But once you have the dough, you can use many different shapes of cookie cutters and you can you sprinkles of varying colours, icing of various flavors, and so on. So, the cookies can all look very different. This is like the program structure of a Housing First program. But what is the common denominator? The dough is the same with all the cookies. If my mom used a different dough with each batch of chocolate chip cookies, they would not have had the same outcome for me. They would not have been as delicious and I would not have turned them into something worthy of worshiping. What does this have to do with inconsistency in values between the organization and the program? I have witnessed the phenomenon where the program developed to provide Housing First services is hindered from progressing and having as successful of outcomes as they could because their umbrella organization is operating based on philosophical beliefs that are contradictory to the dough of Housing First. For example, one of the core principles and philosophical components of Housing First is to work to provide housing to the most complex and vulnerable individuals in the community without preconditions of compliance to treatment. I have seen organization A that operates program B, pressure the program to avoid even attempting to house a participant until they achieve some level of compliance because of a worry regarding the risks associated with housing these types of individuals. Yet learnings from the At Home/Chez Soi study highlighted that successful communities and programs are those that take risks and that you can not determine capability based on current functionality. Housing First works because we are offering appropriate support to individuals that historically have not been served well by the existing systems. That means taking risks. The point is, one example of an element that is important in a successful Housing First program is having consistent philosophical beliefs and values between among the program and the organization managing that program. You could even go farther and say that the system of care or the whole community also need to be on that same wave length but we will save that for another discussion. To learn more about what other components we have found that make a successful Housing First program, stay tuned for our soon to be released document outlining them around the end of August.